In a surgical procedure last month, neurosurgeons from Kyoto University implanted 2.4 million cells into the brain of a patient with Parkinson’s disease. The cells—derived from peripheral blood cells of an anonymous donor—had been reprogrammed into induced pluripotent stem cells (iPSCs) and then into dopaminergic precursor cells, which researchers hope will boost dopamine levels and ameliorate the patient’s symptoms. 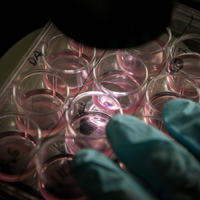 The procedure is the most recent attempt by clinicians to test whether iPSCs can treat disease. In recent years, Japanese scientists have launched several clinical studies to examine their efficacy in heart disease and macular degeneration of the eye. And other researchers around the globe are exploring ways to turn the cells into treatments for everything from endometriosis to spinal cord injury. The initial foray into clinical trials raises hopes that the technology will bear fruit 12 years after its Nobel Prize–winning discovery. “I’m excited that they’re trying to move it to the clinical level, because the iPS field does at some point need to start demonstrating that [these cells] have regenerative potential,” says Jalees Rehman of the University of Illinois at Chicago. But the move towards clinical work is also revealing the difficulties of developing therapies. “It’s a learning curve,” he adds. So far, only a handful of patients have undergone iPSC-based treatments. In 2014, a woman with macular degeneration of the eye received a transplant of iPSC-based retinal cells derived from her own cells. The woman treated showed no apparent improvement in her vision, “but the safety of the iPSC-derived cells was confirmed,” writes Jun Takahashi, a stem cell biologist at Kyoto University who helped derive the dopaminergic precursor cells implanted into the Parkinson’s disease patient. It was his wife, Masayo Takahashi of the RIKEN Center for Developmental Biology, who created the retinal cells used in that trial. Last year, five patients were treated for the same eye condition with iPSC-derived retinal cells, which were taken from different donors. One of them patients developed a “serious,” but non-life–threatening, reaction to the transplant, forcing doctors to remove it, according to the Japan Times. 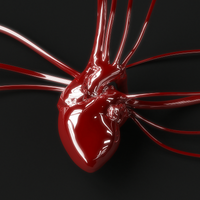 More clinical studies are underway: Next year, heart surgeons plan to implant sheets of iPSC-derived cardiomyocytes into the hearts of three patients with heart disease, and Takahashi hopes to treat six more patients with Parkinson’s disease by 2022. These are all in the earliest phases of testing. “It is too early to say something [about the cells’ efficacy] in our trial,” he adds. 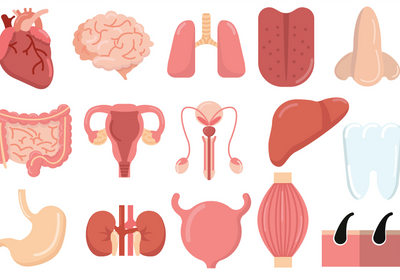 While some researchers are waiting for the results of clinical studies to determine whether iPSCs have regenerative potential, others are racing ahead with preclinical studies presenting ever more ways on how to use them therapeutically. For instance, April Pyle, a stem cell biologist at the University of California, Los Angeles, recently developed an approach she believes is promising in treating Duchenne muscular dystrophy, a devastating disease caused by a mutation in the gene encoding the muscle-strengthening protein dystrophin. She and her colleagues used CRISPR-Cas9 to repair the gene in human iPSCs, turned them into skeletal muscle cells, and injected them into the muscle of dystrophin-deficient mice. “We [could] actually see that we’ve restored dystrophin in pockets of the muscle,” she explains. 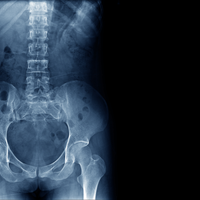 Researchers have been relying on monkey models to evaluate the efficacy of engraftment procedures before testing them in human patients, explains Takahashi. Last year, his team demonstrated on monkeys that human iPSC–derived dopaminergic neurons stably integrated into existing brain tissue, where they produced dopamine and ultimately improved Parkinsonian symptoms. The closer we get to [clinical] applications, the more we obviously realize the challenges that lie ahead. Another challenge with the implantation of iPSC-derived tissue is the ever-present risk that the cells might trigger cancer, because they stem from a cell type that is by nature highly proliferative. To avoid this, Takahashi and his colleagues filter the implanted cells to eliminate undifferentiated ones that are most prone to overgrowth, and also test the cell lines for tumorgenicity by implanting a sample into mice. Still, “we cannot completely eliminate the possibility of tumor formation,” notes Tetsuo Maruyama, an associate professor of obstetrics and gynecology from Keio University School of Medicine. He thinks that such procedures should focus on non-essential organs, such as the eye or the uterus, for instance. He recently succeeded in deriving healthy uterine cells from iPSCs and plans to use these to study how endometriosis occurs, and also to generate human endometrium that could eventually be used clinically. Another concern researchers have frequently raised are the immunosuppressive drugs that patients require if the iPSCs are derived from cells other than the patient’s own. Takahashi’s patient with Parkinson’s, for instance, will be on immunosuppressants for a year, possibly making the patient less able to fight off infections and cancer. But despite the risks, many researchers have opted to use allogeneic stem cells—those from a donor—foremost because the approach will save time, cost, and labor when the time comes to scale up such treatments for commercialization. “It is important when you think about industrialization,” Takahashi writes in an email. The possibility to create “off the shelf” iPSC therapies has also attracted industry, not just academics. For instance, Australia-based biotech company Cynata Therapeutics recently concluded a Phase I trial using iPSC-derived mesenchymal stem cells to treat graft-versus-host disease (GVHD). The condition occurs after bone marrow transplants when immune cells of the donor recognize cells in the recipient’s body as foreign and attack them, often resulting in death. But mesenchymal stem cells, which can mature into a variety of cell types, suppress the proliferation and activation of the donor’s T cells, explains Kilian Kelly, the company’s vice president for product development. The company produced these cells by starting from iPSCs, reprogramming them in to an intermediary cell called a mesenchymoangioblast, and then directing them to become mesenchymal cells. 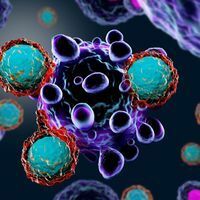 The trial, which the company claims is the world’s first to use iPSCs, administered the cells intravenously to 15 patients with GVHD who had previously failed to respond to steroid treatment and as such faced a grim prognosis. Although it’s too soon to evaluate efficacy, Kelly says, he sees it as a positive sign that 14 of them showed a notable improvement in their condition. And conveniently, immune rejection isn’t an issue with mesenchymal stem cells because they don’t express the donor-specific antigens that trigger rejection. “So that means that we can use cells from a single iPS [cell] bank to treat essentially anybody,” says Kelly. Developing off-the-shelf treatments is also vastly more cost effective than maturing iPSC-derived cells for individual patients, adds Ross McDonald, the company’s CEO. He points to personalized T-cell immunotherapies—two of which have been recently FDA-approved—which can nearly $500,000 per patient. It’s too soon to predict how much his product might cost, he adds. This is one reason why several groups are developing banks of iPSCs that can be used to develop regenerative therapies at scale. For instance, the Japanese government decided to put around $250 million towards developing an iPSC stock for biomedical research. The donors from whom these cells are derived were carefully selected with immune compatibility in mind: the bank is designed to encompass a diverse set of commonly present human leukocyte antigen (HLA) types, so that they are broadly representative of the majority of the population. Then, implantation will require only a minimum amount of immune suppression. This is “kind of a middle ground” between using patient-specific cells and cells chosen at random, explains Amanda Mack, director of iPSC reprogramming at Fujifilm Cellular Dynamics, a Wisconsin-based company that grows human cells for biomedical research. Together, the cells will be immunocompatible with almost 70 percent of the Japanese population, says Maruyama. This might be more difficult for countries such as the US, where the genetic makeup is more diverse, but similar efforts are also underway there. For instance, Mack’s company aims to develop a bank of iPSCs that are matched to a majority of the US population.